Juvenile Macular Degeneration, also known as JMD, refers collectively to a group of rare and inherited eye diseases that affect the vision of children and young adults. Just as age related macular degeneration (AMD) affects older adults, JDM primarily targets the vision of children, teens and young adults. The tissue comprises the most central region of your retina, the ‘macula’, provides you a sharp crisp central vision needed for performing tasks like reading, driving and recognizing faces. It is this region that takes the brunt of JMD diseases. Stargardt’s disease, Best Disease and Juvenile Retinoschisis are the major eye diseases constituting juvenile macular degeneration. AMD and JMD not only seem synonymous, they work the same way as well, i.e. AMD affects the macula in adults, while JMD affects the macula in children, teens and young adults. These eye conditions labeled as JMD take effect due to genetic changes passing down in families. Unfortunately, like their adults’ counterpart AMD, JMD also lacks a cure. Let’s get to know each of them a bit more. Discovered in 1901 by a German eye specialist Karl Stargardt, this disease is the most commonly existing form of JMD. About 1 in every 8,000 to 10,000 US children are affected by this eye condition. 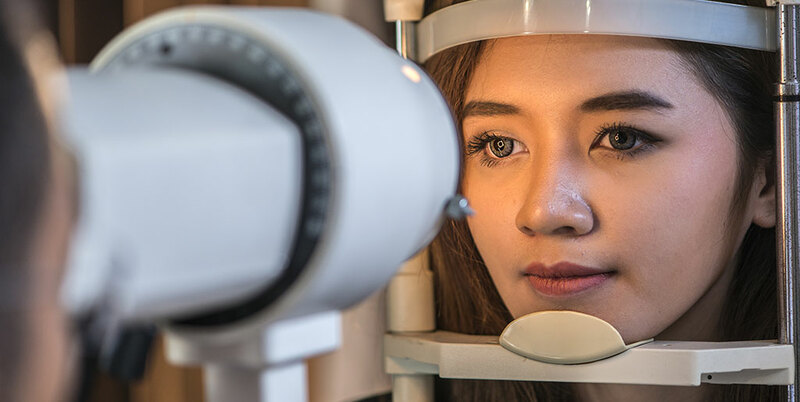 Though it mostly starts damaging your macula before the age of 20, majority of people fail to notice any vision loss due to Stargardt disease until they are in their 30s and 40s. Appearance of yellowish white spots around the macula is considered as one of the basic symptoms of Stargardt disease. 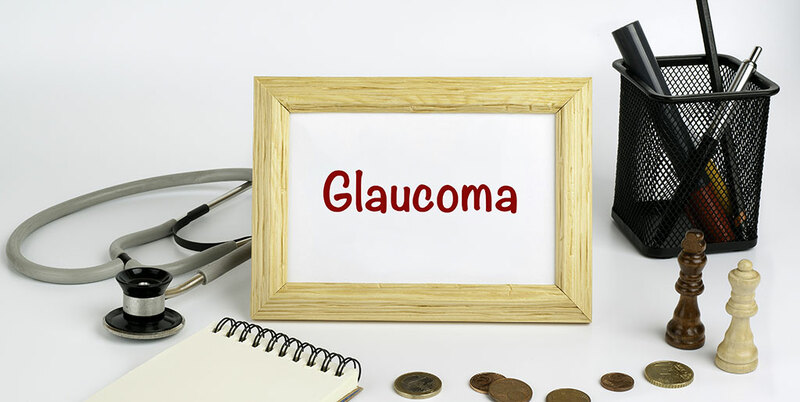 Some fatty substances are produced during the regular functioning of the eye as waste materials, but the macula’s failure in draining those results in their unnatural depositing, the underlying reason behind the formation of yellow flecks around macula. And if they end up also covering the back of the eye, they are referred as ‘Fundus Flavimaculatus’. Further symptoms include grayish or black spots in your central vision, also resulting in troubled reading. Most people suffering from Stargardt Disease undergo a gradual loss of sight, ultimately affecting both eyes. Once your vision recedes to 20/40, it progresses to the level of legal blindness (20/200) quite rapidly. Some people experience a quick loss of vision spanned only to a few months, while most of them go to 20/100 – 20/400 during their 30s and 40s. Stargardt disease is not associated peripheral vision loss though, meaning your side vision remains unaffected in JMD. Similarly, you might not lose your night vision, but switching between darkly lit places to lowly lit places and vice versa can become an issue. And your color vision can also be affected through the advanced stages of the disease. Scientists have been able to single out a specific gene responsible for this disease, i.e. ABCA4. Due to the mutations taking place in this gene, a special type of protein is produced in the retina, which disrupts the natural mechanism of transporting food and waste materials in and out of the photoreceptor cells of the retina, resulting in formation and depositing of flecks of yellowish fatty substance known as ‘lipofuscin’. There’s a 25% chance of offspring inheriting the disease if both parents have that one gene in mutated form along with the normal one. However, children passed on with only one mutated gene remain Stargardt’s free, though it can still be passed on from them to their offspring without knowing about it. Unfortunately, no reliable cure for Stargardt disease is available right now. However, scientists are exploring various avenues to come up with one soon and different types of drug and gene therapies are under consideration. One of them involves introducing the healthy version of ABCA4 gene into the retina of the patient, so that the production of unwanted protein in the retina can be countered and no fatty deposits can be accumulated to damage the retinal cells. Another approach involves replacing the retinal pigment epithelial (RPE) cells, underlying the retina, by using stem cell therapy. Your eye doctor may refer you to alternative solutions and methods aimed at slowing down the progression of the disease. Some optometrists recommend using dark glasses, since bright light is known to encourage lipofuscin buildup. Some others suggest high-end technological Stargardt disease glasses, which help you make the best of your leftover vision in addition to offering protection from bright light exposure. The second most common type of juvenile macular degeneration, ‘Best Disease’ is named after another German eye doctor, ‘Friedrich Best’. It’s also known as ‘Best Vitelliform Macular Dystrophy’ and was discovered in 1905. Though its symptoms start appearing later in adulthood, an eye exam can identify it between 3 years to 15 years. 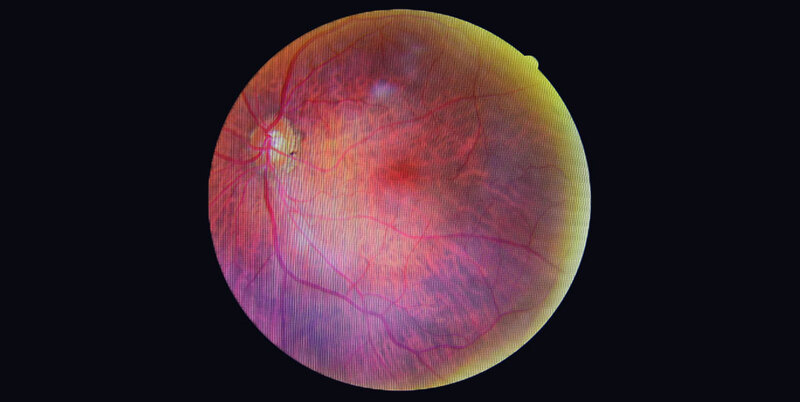 One of the very first signs indicating the presence of Best’s disease is a cyst or a sac filled with bright yellow fluid under your macula, though your vision may not be affected much by this time. However, the sac bursts eventually, spreading the fluid throughout your macula. Optometrists rely on an instrument called ophthalmoscope to identify it. This eye condition also progresses quite slowly, taking years in most cases. Your vision doesn’t undergo any noticeable deterioration initially. Later on, it ends up damaging central vision in either one or both of your eyes, making things blurry or warped for you to look. It can recede your central vision to 20/100 in later stage. It passes on due to mutated genes from parents to their children. A child with only one parent suffering from Best disease has a 50% chance of getting the same disease. However, children who don’t develop this condition can’t pass it on to their children. Best disease cure is yet to be found. 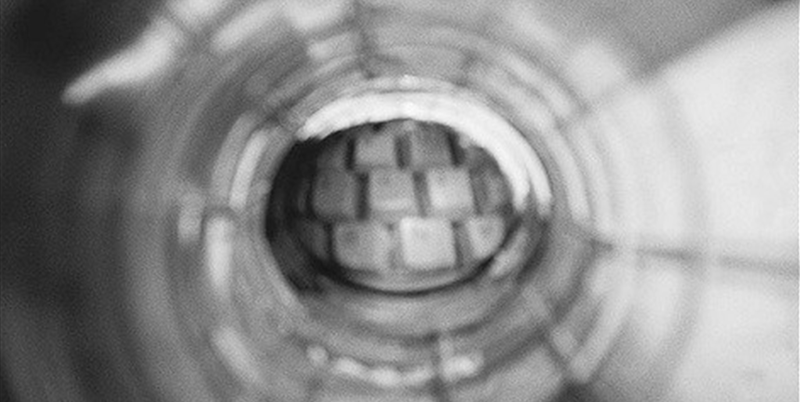 However, researchers continue trying different options to end or minimize the macular damage vitelliform macular dystrophy can inflict upon its victims. Some suggest managing CNVM (Secondary Choroidal Neovascularization) using photodynamic therapy or direct laser treatment. Recently, bevacizumab intravitreal injections and anti VEGF (vascular endothelial growth factor) has also been tried for treating it. However, researchers still continue their quest to come up with a viable Best disease cure, offering best results against the disease. Also known as ‘X-linked Retinoschisis’, young males are the primary targets of this eye condition, getting vision loss any time between 10 years to 20 years of age and remaining stable until they are in their 50s and 60s. Splitting up of retina into two layers is considered as the most visible symptoms of juvenile retinoschisis, and the space between the layers is filled in by blood vessels and blisters. Blood eventually seeps into vitreous fluid, the clear jelly like substance filled inside your eye. This can sometimes also lead to retinal detachment, the detachment of retina from the inside wall of the eye. You can also get strabismus as one of the complications of this disease, an eye condition disturbing the coordinated focus of your eye on any object. About half of people suffering from juvenile retinoschisis also lose side vision and go to legal blindness by 60 years or above. The genetic abnormality associated with this eye disease is linked to the X chromosome, i.e. its behavior in men and women varies. As a carrier mother, your chances of passing the faulty gene to your daughter are at 50%, making them carriers as well. Similarly, there are 50% chances of passing it on to your sons. However, male carries can only pass the disease to their daughters, which also make them the carriers. Sons cannot get the disease from their fathers. Just as with other variations of juvenile macular degeneration, juvenile retinoschisis also lacks a treatment as yet, but ophthalmologists resort to surgery for dealing with retinal detachment. What if Juvenile Macular Degeneration has already affected your vision? Summing it up, stargardt disease, best disease, juvenile retinoschisis or any other variation of juvenile macular degeneration, early detection plays a vital role in delaying the progression of almost all eye diseases. 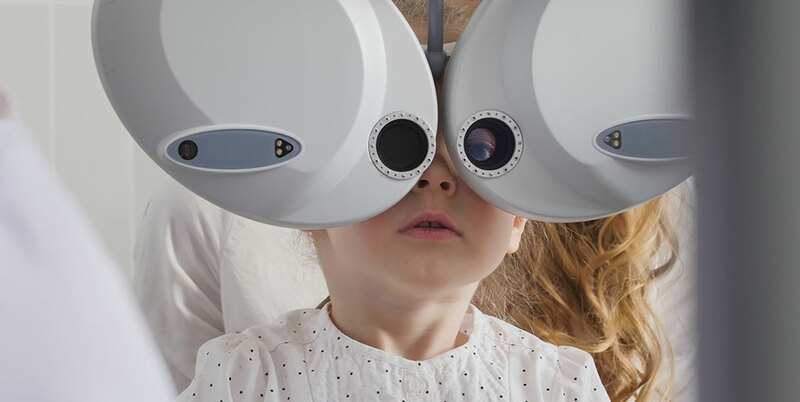 So, make sure you or your kids never miss your regular eye exam. 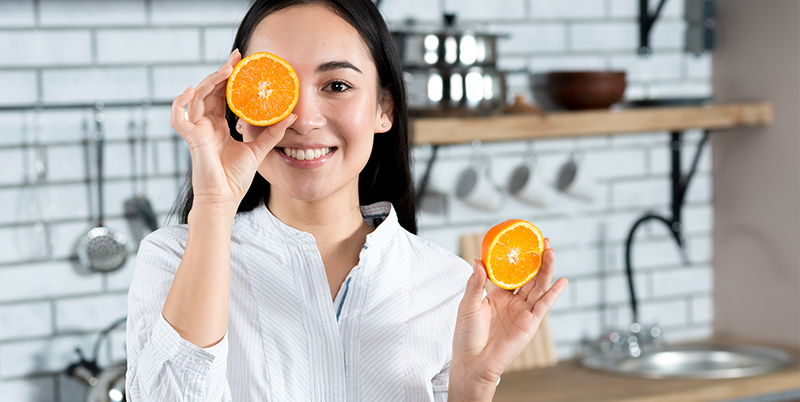 However, if you or any of your loved ones are already suffering vision loss due to this disease, try to incorporate a healthy lifestyle nurturing optimal eye health. Stay updated with medicinal and tech advances, knowing more about low vision aids, such as IrisVision. In fact IrisVision is an FDA registered Class 1 medical device currently being used and appraised by people from all different walks of life throughout the US and Europe. Let’s have a look the story of Ashley Ezell, a 4th Grade teacher with stargardt disease, and see how IrisVision changed her life for good. What Are Genetic Eye Diseases?